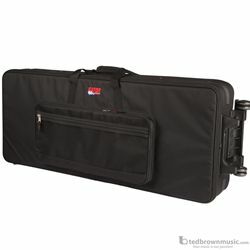 Lightweight Style Case; Holds (4) 1-meter LED Light Bars with Clamps. Rugged nylon exterior with four heavily padded adjustable compartments. Built in wheels and a tow handle.